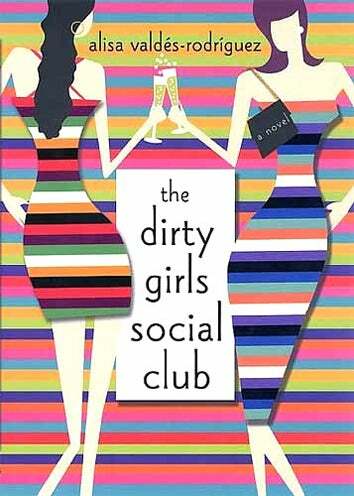 Over a year ago, author Alisa Valdes-Rodriguez optioned the TV rights to her bestselling novel, The Dirty Girls Social Club. Christmas eve, Valdes-Rodriguez called the TV project racist on her blog. For Christmas she got a cease and desist letter. I want any DIRTY GIRLS show that ever gets made to SUCCEED and NOT PERPETUATE HARMFUL STEREOTYPES… I'd rather no show get made than to have my name attached to Luisa's bastardizations… She killed off all the black folks in my story. That was December 23th. After that, Valdes-Rodriguez promptly received a cease and desist letter, "demanding that I stop blogging and Facebooking (but, oddly, no demand to stop Tweeting) about Luisa Leschin, Lynnette Ramirez and Ann Lopez destroying my novel in their racist and sexist bastardization – er, 'adaptation' – of it." But Valdes-Rodriguez did not back off, and has since posted more angry missives as well as her own version of the Dirty Girls Social Club opening sequence. Today, Valdes-Rodriguez found out that her agent is no longer interested in representing her. Valdes-Rodriguez had been working on a young adult trilogy set to launch next year, but is now feeling the Hollywood backlash. For what? For complaining that Ann Lopez and Luisa Leschin "took a story about six college-educated, professional Latinas in Boston and turned it into a story about four Latina whores in San Francisco, their white friend who is being abused by her 'hot blooded Cuban' husband, and their black friend who is fat-n-sassy." What Valdes-Rodriguez wants — to "stop putting Latina whores on TV, [and see] some realistic, likable Hispanic women for once" — is not only a perfectly reasonable request but potentially a game-changer in terms of how Latina women are portrayed on TV. It's sad that her characters are being written sluttier, whiter and more stereotypical. If anything good has come out of the debacle, it's that Valdes-Rodriguez has a new passion for the project. She writes, "I have become motivated to write my own pilot script of the show, just in case the rights ever come back to me."